Medi Alarm is a Personal Medical Alert System. 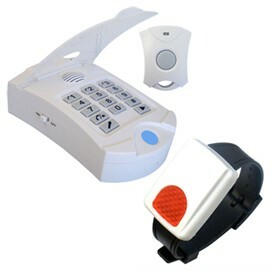 Medi Alarm has three working parts. A Base Unit and a 2 Wireless Transmitter FOBs (Personal Help Wrist Button + Pendant) or sometimes depending on stock 2 wrist bands, that are worn by the user. Should the user require help, they simply press the button on the FOB / Pendant and this activates the system to dial pre programed phone numbers in the base control unit and play a recorded message to alert family, neighbor and friends of your situation and need for assistance / help. 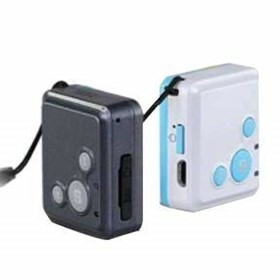 Summon Help – Press the Personal Help Button on the waterproof pendant or waterproof wrist button. Response – Within minutes someone you know, not a stranger, is alerting the ambulance and heading to your home to give assistance. A total ‘stand alone’ system that is very reliable. Unlike other systems that make use of your mobile phone where the battery may be flat or the phone not in your pocket at the time of needing help… Medi Alarm is always ready for use with the FOB on your person.